Globe-trotting violinist Christian Howes’ Creative Strings Workshop and Festival returns to Columbus next week for its 16th installment! Held in various venues from July 1st through 6th, this event draws string talent from around the world and will include over 20 concerts for the Central Ohio area. Besides Howes himself, the acclaimed guest artist lineup for 2018 includes guitarist Rez Abbasi (who leads a group at Natalie’s later in the month – stay tuned for our interview), violinists Alex Hargreaves, Jason Anick, and Nicole Yarling, and homecoming appearances by stars and Columbus natives Cedric Easton (drums and vocals) and Micah Thomas (piano). The festival is highlighted by “Having Our Say: Concert and Conversation” on July 5th at 7pm at the United Methodist Church for All People on the South Side. This event pairs Cedric Easton & Circle of Friends, featuring Abbasi and bassist Doni Jai Washington, with The Creative Strings Workshop Orchestra for a jazz and fiddle styled concert paired with “Having Our Say”, an exploration of equity and access for women in our society. The full schedule is here and more details from Creative Strings are below. Keep reading to learn more about this exciting festival! COLUMBUS, Ohio (June 11, 2018) — Columbus-born and internationally recognized violinist Christian Howes will be marking the 16th anniversary of his annual Creative Strings Workshop and Festival as it returns to Central Ohio on July 1-6, 2018. The event draws over 100 string players from around the world and will provide over 20 musical performances for the community of greater Columbus. The workshop and festival is an intensive week filled with educational clinics and live performances, providing string players of all ages the opportunity to be coached by and play alongside world-class artists. This year’s guest artists include leading performers and educators, including acclaimed guitarist Rez Abbasi, leading multi-genre fiddlers Alex Hargreaves and Jason Anick, Miami-based singer and violinist Nicole Yarling, Columbus’s own Cedric Easton (who now works in NYC for Jazz at Lincoln Center) and many more local and internationally established musicians. Here is the full list of faculty/guest artists. In addition to the daily educational activities, the event will bring over 20 performances to the area during the week through three days of an intense schedule of performances, including the Columbus Music Hop July 3rd, a marquee performance at the United Methodist Church For All People July 5th, and a Delaware Music Hop culminating in a final concert at William Street United Methodist Church on July 6th. Says Howes, “We’re excited to have new partnerships this year allowing us to provide concerts to more segments of the community, and especially to areas where residents don’t get the chance to hear as much live music. In 2017 we had a great experience with our second large-scale “highlight concert” in collaboration with Cedric Easton and the Church For All people. It was a real success in terms of reaching out into the community, and this year we look to build on this with a repeat visit to Church For All People, which includes a free meal for all attendees in an attempt to specifically reach the South Side community.” A list of this year’s performances can be found here. 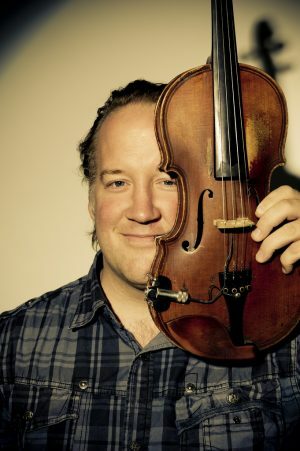 In 2013, Christian Howes founded “Creative Strings”, a 501 (c) (3) organization with a mission to expand music education through the creation of online curriculum, an annual summer conference, and outreach programming in over 70 schools annually. A graduate of Delaware Hayes High School, Howes has won awards in Downbeat, Jazz Times, the Jazz Journalist Association, Chamber Music America, and the Mid Atlantic Arts Foundation.